As paddle boarding grows more popular with each season, the amount of SUPs to choose from can be intimidating. Bored of looking for the right board? 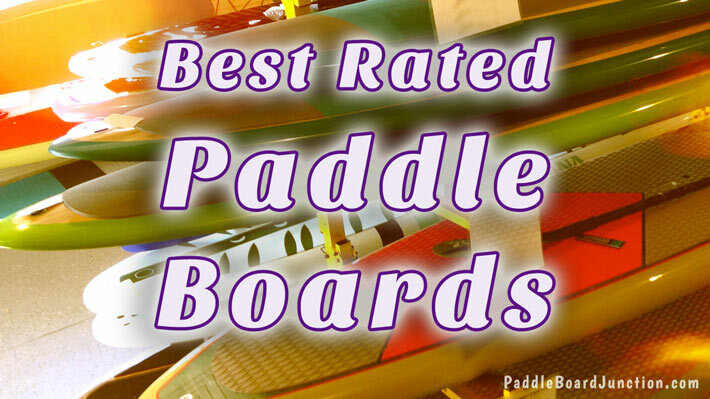 Below is a list of the top rated SUPs from the four major categories: all around, surf, racing/cruising, and yoga, to help you spend less time browsing and more time boarding. This board boasts a 4.6 out of 5 star rating on Amazon.com, with over 140 customer reviews. The reason? It’s stable, easy to store and transport, and reasonably priced, with a price tag of $595.00. Once inflated, the PEAK is 10’6” x 31” x 6” and weighs 23 lbs. Although it only comes in one size, the board can support riders up to 300 lbs. Another perk is the PEAK’s durability and stability. It’s made out of Military Grade PVC and has a thickness of 6”; so it can take a beating, and you can stay dry. Its stability makes it ideal for all skill levels, from amateur to expert. Not only is it strong and and rigid, but it also has a soft traction pad which helps you keep your footing and helps prevent slipping. 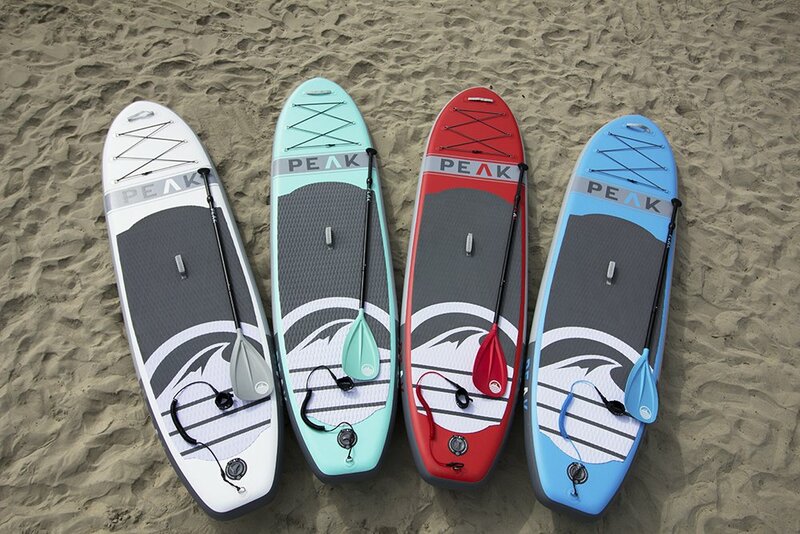 The PEAK is produced by “Isle Surf And SUP,” a well respected name in the SUP industry that has been producing high quality boards since 2004. Another board produced by Isle, this one has a 4.4 out of 5 star rating on Amazon. At $595.00, it’s priced the same as its inflatable counterpart, The PEAK. In fact, The Classic Soft Top is much like the PEAK in its perks, so it really is up to preference: iSUP or SUP. The board measures 10’8” x 31” x 5”, so it does take up some space. It weighs around 27 lbs, (only 4 lbs. more than the inflatable PEAK), and has a weight capacity of over 275lbs. With a thickness of 5”, this board is great for beginners and experts alike because of its stability. Its soft deck allows for maximum comfort for the rider, while its EPS core with triple stringer system and dense bottom allow for a rigid structure. One small drawback is that the soft deck can develop dents from transportation or dings. 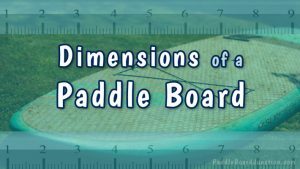 The board measures 10’6” x 30” x 5”, and weighs 25 lbs, with a weight capacity of 300 lbs. Known for its durability, it is constructed out of multi-layered wood stringers coated with waterproof resin; very strong, yet lightweight. The CBC Classic is also easy to use, providing a stable ride on waves of various sizes. Reviewers have remarked that it is very maneuverable on the water and easy to carry when transporting. 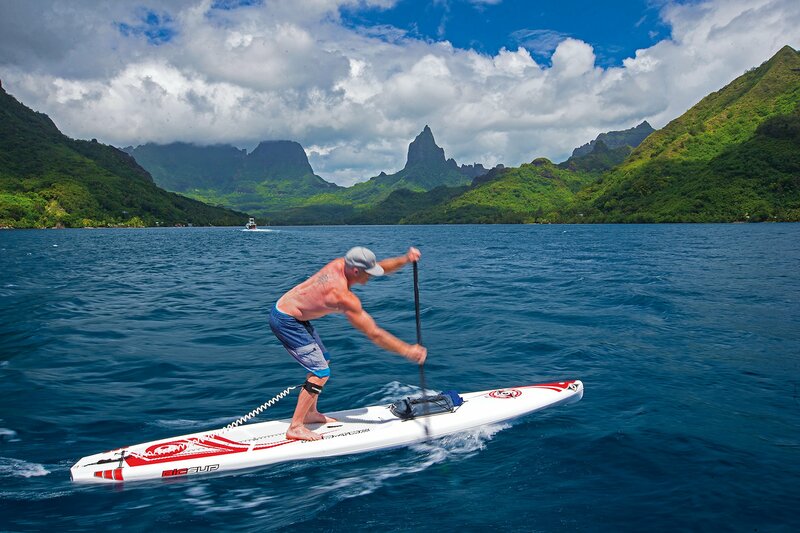 The BIC Performer, rated 4.1 out of 5 stars, is known for its quality and construction and is great for both flatwater and small wave locations. It comes in three sizes: 9’2” ($1,099.95), 10’6” ($1,135.12), and 11’6” ($1,149.95). 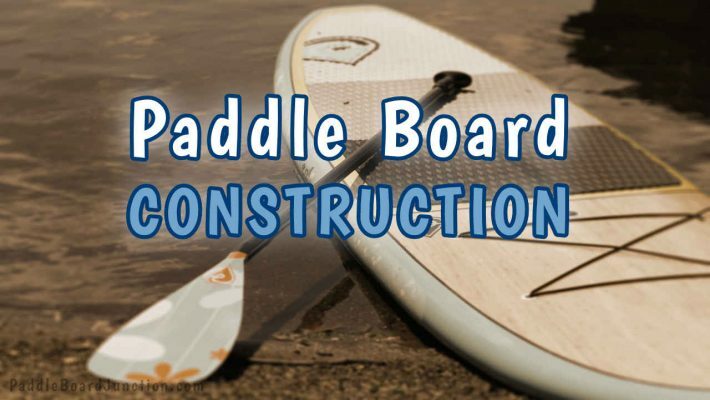 BIC’s boards are made from ACE-TEC epoxy composite, making them both durable and lightweight. Reviewers praise it for its versatility, maneuverability, and one reviewer even pointed out that it was large enough to take a nap on if the rider desired. While it is a great board for beginners, it still manages to provide enough of a challenge to intermediate and expert riders. The BIC ACE-TEC Performer comes with a center fin, deck pad, carry handle, and deck attachment points. The Tower Xplorer is rated 4.3 out of 5 stars, and boasts praise-filled reviews. This board is famous for its larger size and incredible stability. The price? 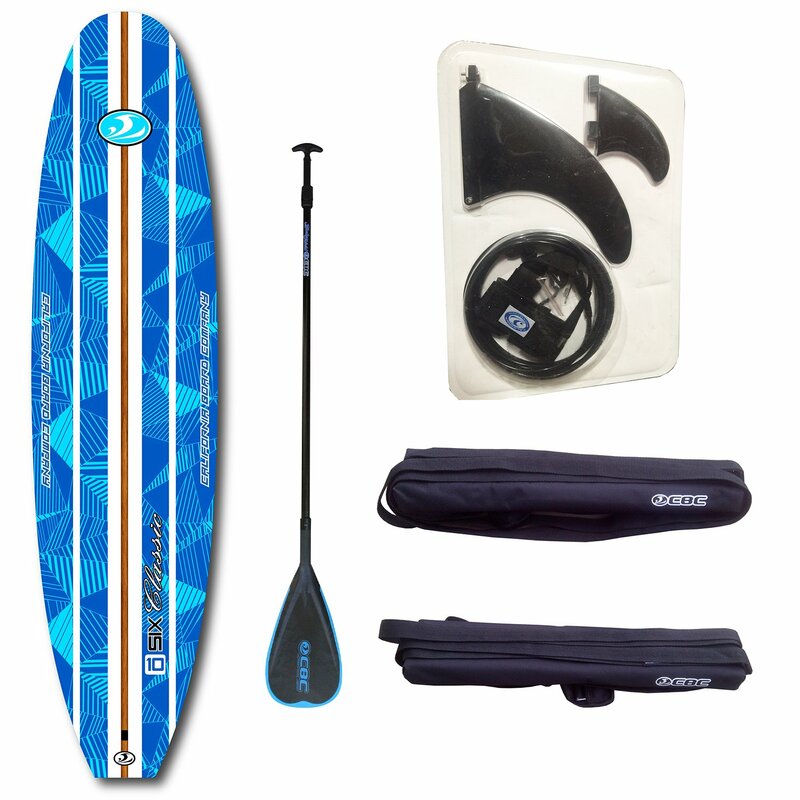 $679.15 of aquatic fun, which is a deal for its size, since most 14’ boards have prices more in the vicinity of $1500.00. The Xplorer measures 14’ in length, making it the longest and thickest SUP on this list. 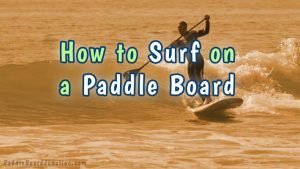 You don’t have to worry about storage, though; this board is inflatable, which also contributes to the stability, making it ideal for the novice paddler. Because it is a larger board, it does weigh more than the others on this list, but it is still not too heavy (36 lbs). The dimensions are 14’ length x 32” width x 8” thick, with a weight capacity of up to 700 lbs. That extra thickness makes the board all the more stable. And, like most iSUPs, the Xplorer rolls up like a sleeping bag when deflated. Made from military grade materials, the Xplorer is built for durability and speed. Its shape and construction make it ideal for racing, gliding through flatwater and small waves, (though it is not designed to face anything higher than 1-2 feet of waves). However, some reviewers have commented that it is not as maneuverable as some of the other types of SUPs, while others claim to have had no issues. The Tower Xplorer also comes with its own high pressure pump and adjustable paddle. It does not come with its own bag, but once deflated, it isn’t difficult to transport or store. Next up is the BIC Sport ACE-TEC Wing, with an average rating of 4.7 out of 5 stars on Amazon. While designed for flatwater, some reviewers have marvelled at its ability to perform in choppy water, as well. It comes in two sizes: 11’ ($899.96) and 12’6” ($1,299.95). BIC, whose boards are on the pricier side of this list, is an award winning company known for its fine quality. The 11’ board has a maximum weight capacity of 170 lbs, while the 12’6” has a capacity of 260 lbs. The board itself weighs around 35 lbs. The ISLE Airtech iSUP has an average rating of 4.5 stars. Costing $595.00, this board can help you burn calories, without burning too big a hole in your wallet (comparatively speaking). With dimensions of 10’4” x 31” x 6”, this iSUP supports up to 255 lbs. If within the weight capacity, the board is large enough to fit 2 people on its deck at the same time. Its Airtech construction and military grade PVC makes it up to 30% lighter (weighing 18.2 lbs), without compromising toughness. A wide nose and tail allow the board to be especially stable, so you can do your yoga dry. With a price tag of $549.99, this Ten Toes iSUP rates an average of 4.5 out of 5 stars on Amazon, with over 100 reviews. General opinion of the reviewers: they love it! 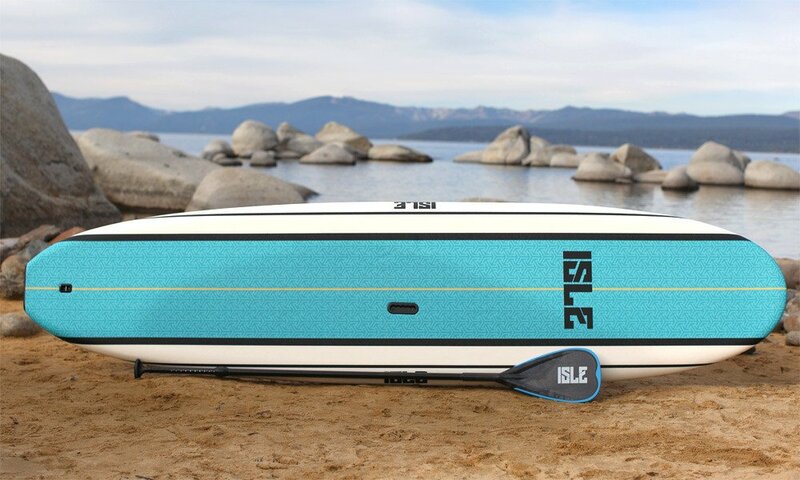 This iSUP performs smoothly on flatwater and its stability makes for a dry yoga paddle boarding experience, and has an extra soft deck pad for comfort. Finding the perfect paddle board is no simple task. With prices ranging anywhere from $500 to $1,500+, you want to get the best experience possible. 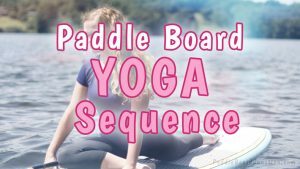 The first step in purchasing the right board is to choose which kind of SUP you want: all around, surf, racing/touring, or yoga. Your level of experience and intended use will decide the type and help narrow down your options. That said, the best choice for beginners would be an all around board. While an all around isn’t the best at anything in particular (surfing, racing, etc), it is very good at everything and gives the rider the chance to explore various ventures. The other types are better for specific locations and uses, typically requiring a little more experience. 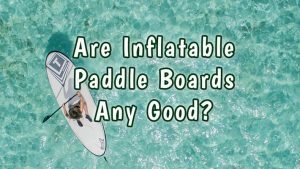 Are Inflatable Paddle Boards Any Good?